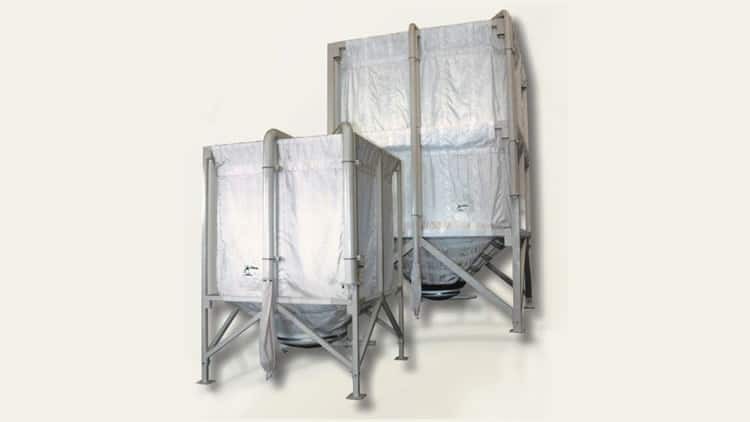 Our flexible storage silos are made of Trevira® fabric. Their innovative design aims at simplifying dry bulk products storaging and unloading. These disassembled silos may be used for the indoor storage of flour, raw materials and by-products in a wide range of industries such as chemical, plastic, milling, feeding and foodstuff industry. Where space is limited, our flexible silos are the best choice, as their square design allows greater storage capacity (from 2 tons up to 30 tons). The Trevira fabric has exceptionally high resilience as well as permeability, allowing the gaseous interchange between the inner and outer sides of the silo and, in turn, preserving the quality of the stored product.